The Florida Lottery announces that Jesula Gabriel, 56, of Fort Lauderdale, claimed the $2 million LUCKY MONEY™ jackpot from the July 10, 2018, drawing at Florida Lottery Headquarters in Tallahassee. She chose to receive her winnings as a one-time, lump-sum payment of $1,435,998.89. a $950,000 LUCKY MONEY™ jackpot from the April 21, 2017, drawing. The Florida Lottery announces that Paul Salisbury, 59, of Kissimmee, claimed the $950,000 LUCKY MONEY™ jackpot from the April 21, 2017, drawing at Florida Lottery Headquarters in Tallahassee. Salisbury chose to receive his winnings as a one-time, lump-sum payment of $708,738.77. 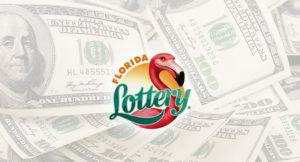 He purchased his winning LUCKY MONEY Quick Pick ticket from Circle K, located at 1700 North Thacker Avenue in Kissimmee. Total ticket sales for this LUCKY MONEY jackpot generated more than $1 million for the Educational Enhancement Trust Fund. The next LUCKY MONEY drawing will be Friday, April 28, at 11:15 p.m. ET, with a $550,000 jackpot. The LUCKY MONEY drawings are broadcast on 17 carrier stations throughout the state. Winning numbers are available on the Lottery website, at retailers statewide and by phone at (850) 921-PLAY. The Florida Lottery announces that Luis Gonzalez, 56, of Miami, claimed his $800,000 share of the $1.6 million LUCKY MONEY™ jackpot from the February 7, 2017, drawing at Florida Lottery Headquarters in Tallahassee. The other jackpot-winning ticket, also purchased in Miami, was claimed on February 13, 2017. Gonzalez chose to receive his winnings as a one-time, lump-sum payment of $585,612.51. He purchased his winning LUCKY MONEY ticket from Supertony Oil Inc., located at 13701 Southwest 42nd Street in Miami. Total ticket sales for this LUCKY MONEY jackpot generated more than $1.75 million for the Educational Enhancement Trust Fund. The next LUCKY MONEY drawing will be tonight, February 28, 2017, at 11:15 p.m. ET, with a $700,000 jackpot. The LUCKY MONEY drawings are broadcast on 17 carrier stations throughout the state. Winning numbers are available on the Lottery website, at retailers statewide and by phone at (850) 921-PLAY. The Florida Lottery announces that Haldane Allen, 45, of Cocoa, claimed the $550,000 LUCKY MONEY™ jackpot from the February 14, 2017, drawing at Florida Lottery Headquarters in Tallahassee. Allen chose to receive his winnings as a one-time, lump-sum payment of $402,910.31. He purchased his winning LUCKY MONEY ticket from Sunshine Foodmart, located at 6570 North Harbor City Boulevard in Melbourne. Total ticket sales for this LUCKY MONEY jackpot generated more than $534,000 for the Educational Enhancement Trust Fund. The next LUCKY MONEY drawing will be Tuesday, February 28, 2017, at 11:15 p.m. ET, with a $700,000 jackpot. The LUCKY MONEY drawings are broadcast on 17 carrier stations throughout the state. Winning numbers are available on the Lottery website, at retailers statewide and by phone at (850) 921-PLAY. after claiming a $500,000 LUCKY MONEY jackpot. The Florida Lottery announces that Richard Moore, of Fredericksburg, Virginia, claimed the $500,000 LUCKY MONEY™ jackpot from the February 17, 2017, drawing at Florida Lottery Headquarters in Tallahassee. Moore chose to receive his winnings as a one-time, lump-sum payment of $364,656.80. He purchased his winning LUCKY MONEY Quick Pick ticket from Publix, located at 345 Jacaranda Boulevard in Venice. Total ticket sales for this LUCKY MONEY jackpot generated more than $258,000 for the Educational Enhancement Trust Fund. The next LUCKY MONEY drawing will be tonight, Tuesday, February 21, 2017, at 11:15 p.m. ET, with a $500,000 jackpot. The LUCKY MONEY drawings are broadcast on 17 carrier stations throughout the state. Winning numbers are available on the Lottery website, at retailers statewide and by phone at (850) 921-PLAY.